We are delighted to confirm that E3 Consulting was successful in scooping the award for Best Tax Consultancy Team at the 2011 LexisNexis Taxation Awards! 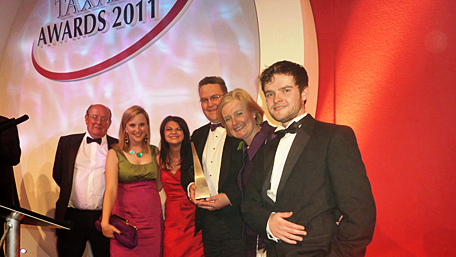 We are delighted to confirm that E3 Consulting was successful in scooping the award for Best Tax Consultancy Team at the 2011 LexisNexis Taxation Awards, announced at a gala dinner on Thursday 26th May 2011 at London's Park Lane Hilton Hotel. “My congratulations go to our team for such a superb achievement. The award adds external credence to our belief that we provide the highest quality of specialist property tax advice to our clients across the UK” stated Managing Director Alun Oliver. We are proud to receive this national recognition, but more importantly we see this as cementing our commitment to professionalism and high ethical standards. We hope to use this achievement to further enhance our existing strong client, business and community relationships whilst continuing to evolve our service offer through constant innovation and careful evaluation of the ever changing tax rules. If you wish to discuss any aspects of your property taxation then please do get in touch with us to see how we could assist you in enhancing your tax savings!